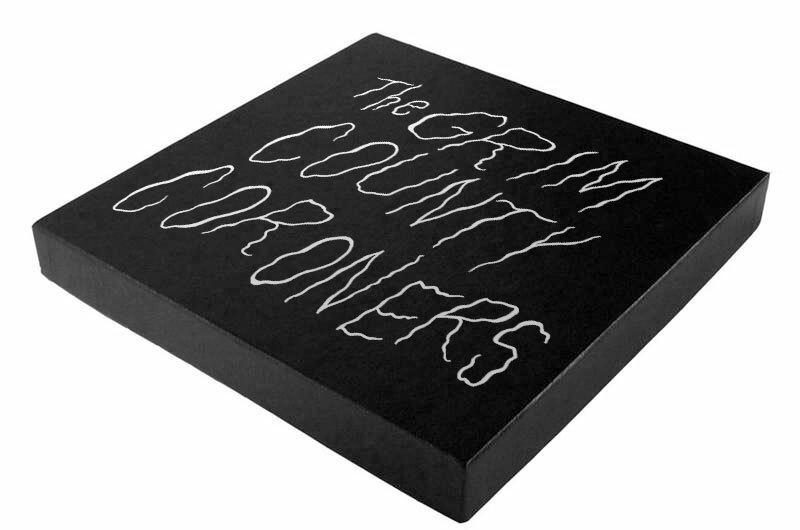 Avoiding hexes and mastering The Grim County Coroner’s music for vinyl and digital release. Limited low run, hand-pulled, screen printed 8″x 8″vinyl collectors box & digital. 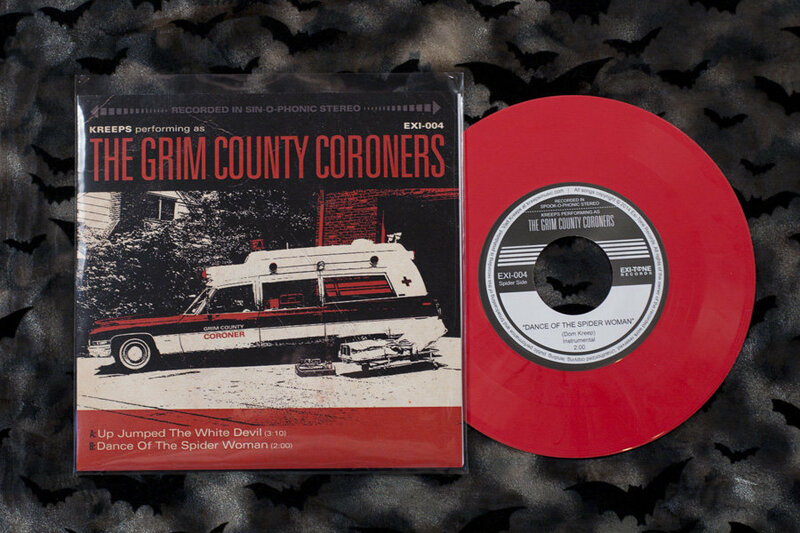 Part one of ‘The Curse Of Grim County’ on blood red vinyl featuring the tracks ‘Up Jumped The White Devil’ and ‘Dance Of The Spider Woman’ in a limited hand-pulled screen printed edition sleeve. Music by Kreeps – performing as ‘Grim County Coroners’ and Illustrated by Drazen Kozjan. Part Two of ‘The Curse Of Grim County’ on bone white vinyl featuring the tracks Triple Hexxx Curse’ and Evilous Knevilous’ in a limited hand-pulled screen printed edition sleeve. Music by Kreeps – performing as ‘Grim County Coroners’ and Illustrated by Drazen Kozjan. Part Three of ‘The Curse Of Grim County’ on spectral blue vinyl featuring the tracks ‘Dragstrip Graveyard” and ‘Vampyre Dust’ in a limited hand-pulled screen printed edition sleeve. Music by Kreeps – performing as ‘Grim County Coroners’ and Illustrated by Drazen Kozjan.